BE PART OF THE MOST MAGICAL THEATRE EXPERIENCE ON THE GULF COAST! OUR 2018 - 2019 SEASON FINALE IS HERE! YOU ARE INVITED TO BE PART OF ESRT'S MAGIC! 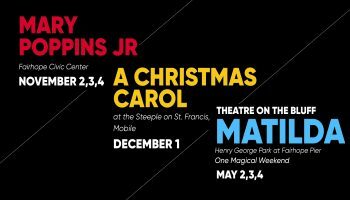 Get show details on our current season!